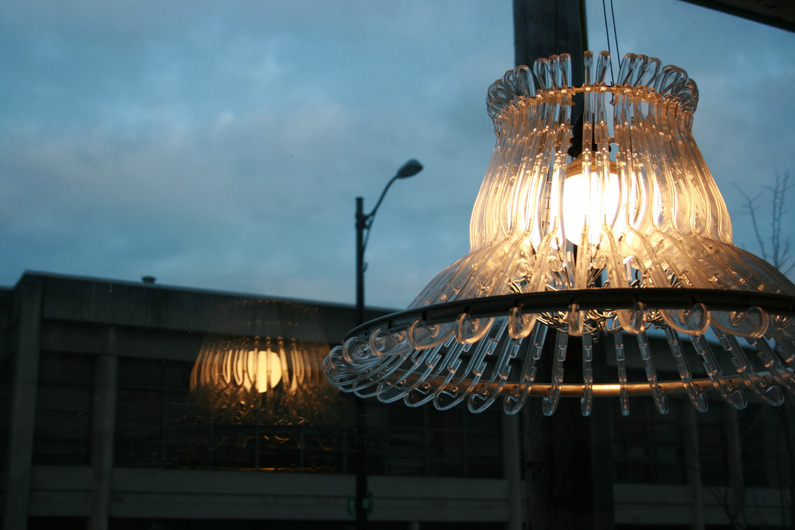 15 Creative Chandeliers and Cool Chandelier Designs. 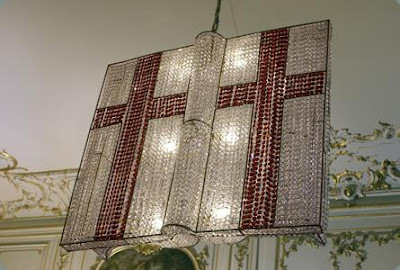 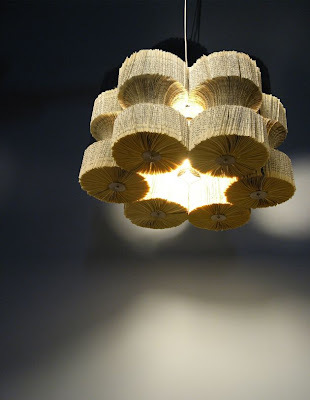 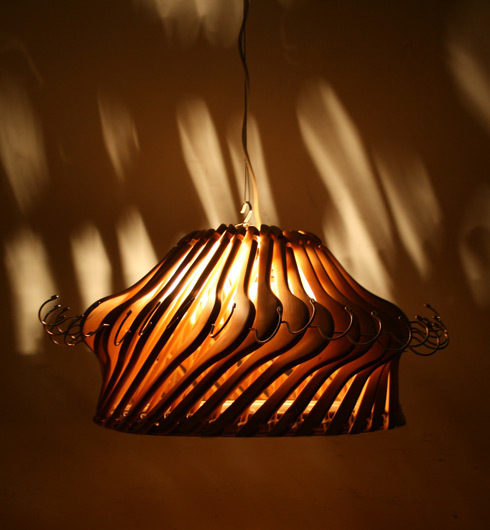 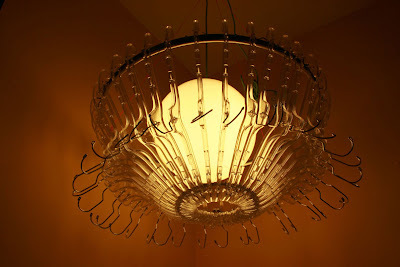 Collection of 'Creative Chandeliers and Cool Chandelier Designs' from all over the world. 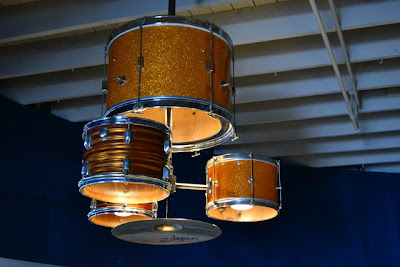 DIY Drum Kit Chandelier: It is a fully functional drum kit chandelier in the center of a restaurant. 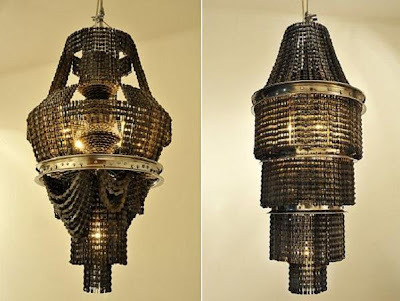 Bicycle Chandeliers: Made from old bicycle parts, these bicycle chandeliers are beautiful art pieces. 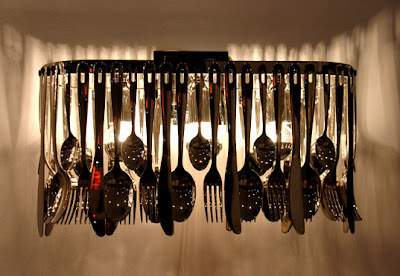 Silverware Chandelier: This cool silverware chandelier by Fabbian would look cool over a kitchen island. Barcode Chandelier: This oversized chandelier is based on the ubiquitous barcode graphic. 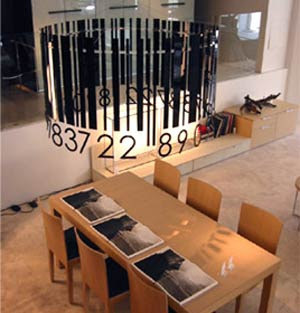 Light Reading Chandelier: The light reading chandelier from artist L Norman shows an excellent reuse for books. 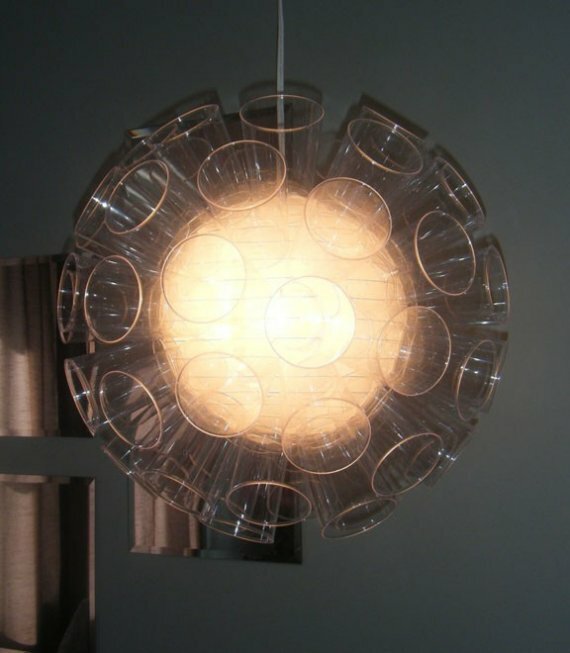 Plastic Cups Chandelier: The interior is made of white paper and its completely covered in clear plastic cups. 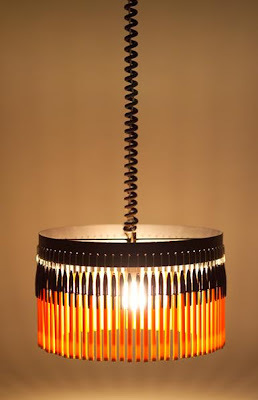 Bic Ballpoint Pen Chandeliers: These beautiful chandeliers and table lamps by Studio Empieza looks really stylish and are hand-made using Bic pens. 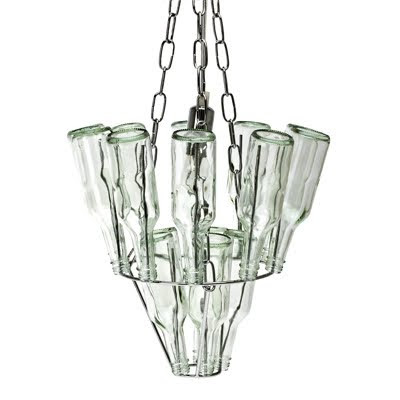 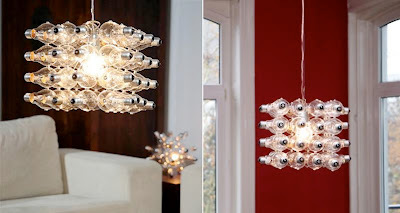 Glass Bottles Chandelier: Made from stainless steel and glass bottles, its about sixty cm's in length and uses a maximum 40 watt light bulb. 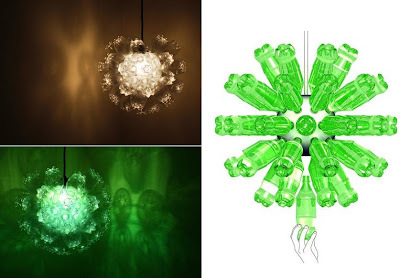 Plastic Bottles Chandelier: Creative creation of designer Shelley Spicuzza, who turned used plastic bottles in to a cool chandelier. 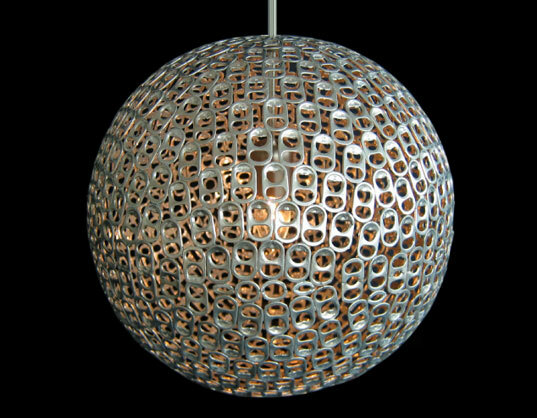 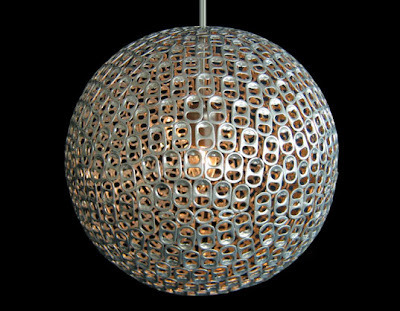 Soda Tabs Chandelier: Made from hundreds of soda tabs by designer Mauricio Affonso. 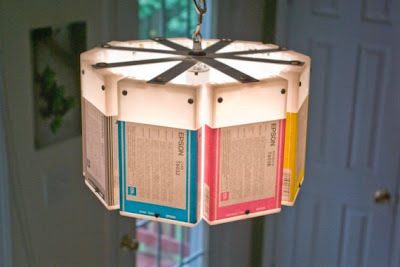 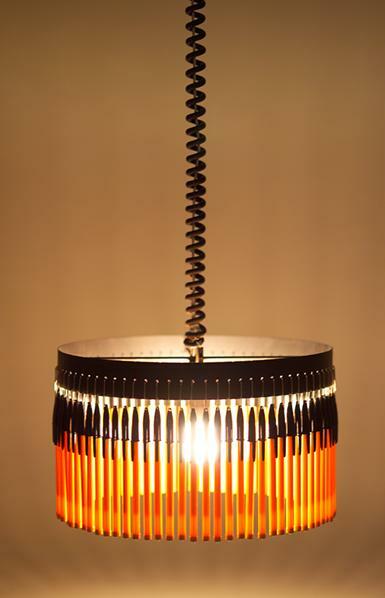 Ink Cartridge Chandelier: It's made from cartridges that were disassembled and reassembled again. Light Bulbs Chandelier: Bulbs Unlimited sells kits that creatively uses old light bulbs and transforms them into new light fixtures like the ones pictured here. Gummy Bear Chandelier: Something for a kid's room; a cool gummy bear chandelier. 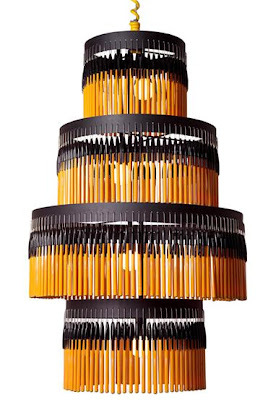 15 Creative Desks and Cool Desk Designs - Part: 2. 15 Creative Storages and Innovative Storage Systems. 15 Creative and Unusual Edible Products and Designs. 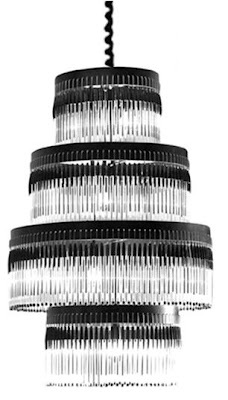 15 Creative Travel Pillows and Cool Neck Pillow Designs.